What kind of dog do you think you want? Do you want a small dog or a large one? Want to know more about different Breeds or mixes from Breeds? Find out more in “Learning About Dog Breeds”! 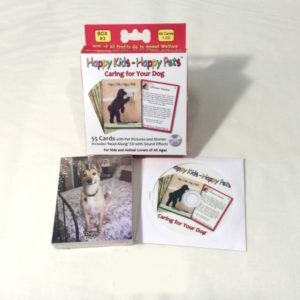 Our Trading Cards feature stories which are “written” and “read aloud” by dogs, and since children relate well to animals they can learn and enjoy the lessons in these important stories. The cards serve as a useful tools for parents, caretakers, and educators and kids love them! There are fifty-five lesson cards in this “Learning About Dog Breeds” series. 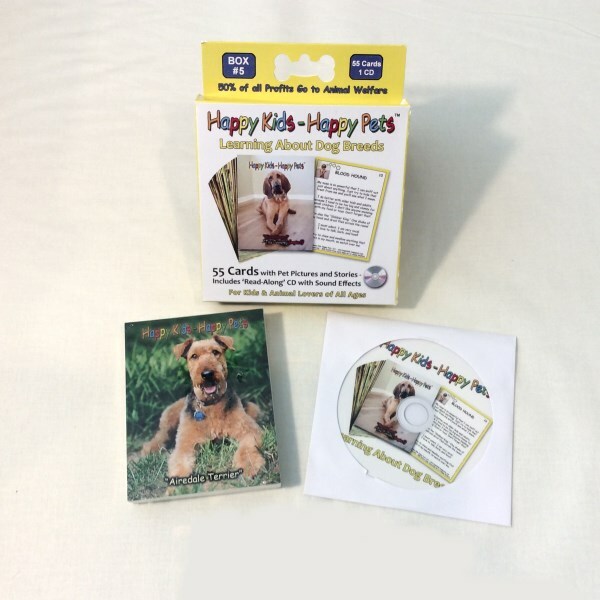 The front side of each card presents a precious, often funny, portrait of a dog, and on the reverse side features a less than one minute “Read-A-Long Story” with an accompanying audio on the CD. The dogs describe themselves and give you tips and tricks for life with their particular breed. 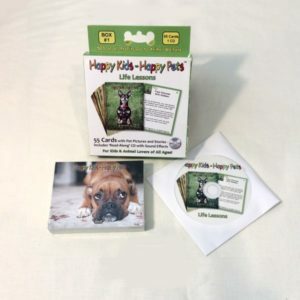 Kids can read the cards while following along with the audio or just listen while they look at the photo’s of the dogs, either alone or with others. The messages truly come to life with wonderful sound effects. The children can spend hours looking at the photos, while listening to the stories and making “best friends” with their favorite dogs!